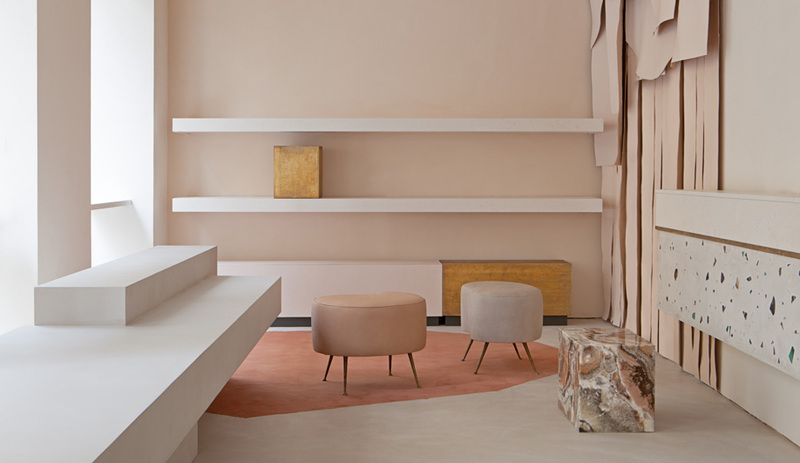 In one of New York’s most fashionable neighbourhoods, the design firm Campaign creates a luxurious retail space that reflects the clothing label’s muted palette and casual elegance. 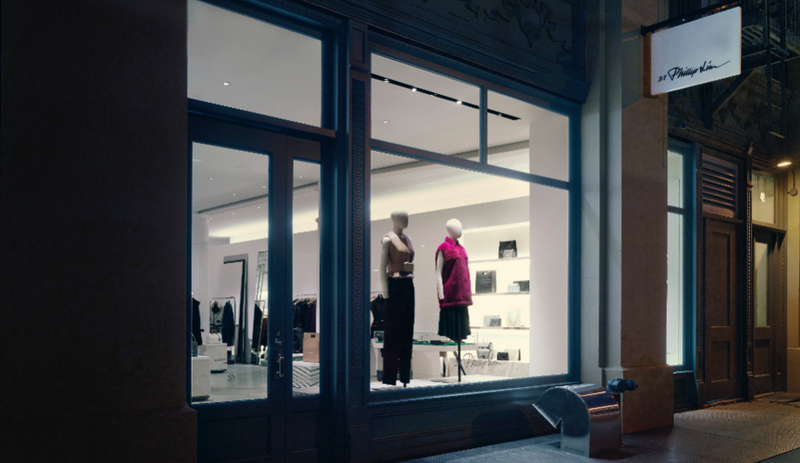 When Chinese-American fashion designer Phillip Lim decided to open shop in NoHo, one of the Manhattan’s most desirable neighbourhoods, he called on Campaign. 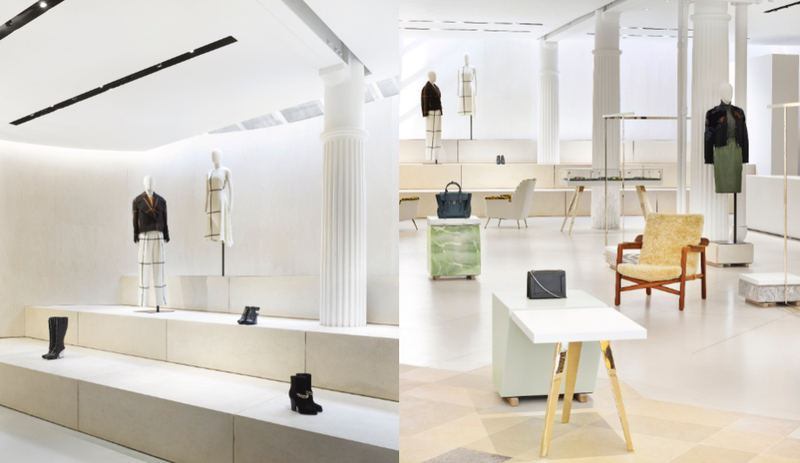 The London and Shanghai-based firm, responsible for dozens of retail spaces including 3.1 Phillip Lim shops in London and Hong Kong, worked closely with Lim for his flagship New York boutique on Great Jones Street, home to such fashionable residents as Intermix and A.P.C. In NoHo, the 325-square-metre space (formerly a furniture store), reflects the brand’s casual elegance. Luxurious materials like marble and onyx juxtapose against more common MDF, ply and plasterboard. 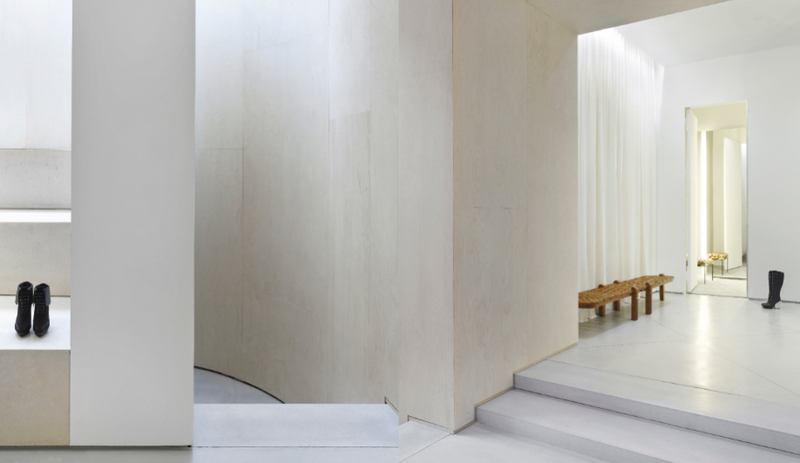 Key architectural features include a curved, white-washed plywood wall and oversized stone steps along the back of the store, while a freestanding minimalist block, inserted halfway through the store, creates a place for fitting rooms. Minimalist still-life images by photographer Bill Jacobson inspired groups of large rectangular canvases, made from standard construction materials (multi-ply and unfinished plasterboard). 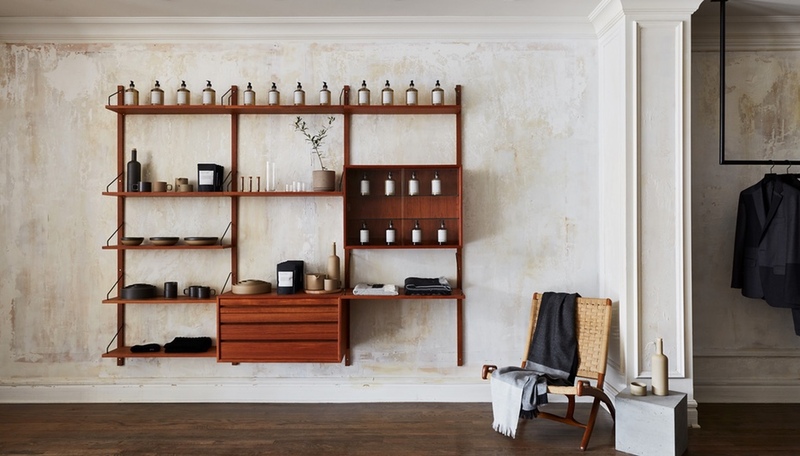 These line the boutique walls, while a skylight brings in natural rays. 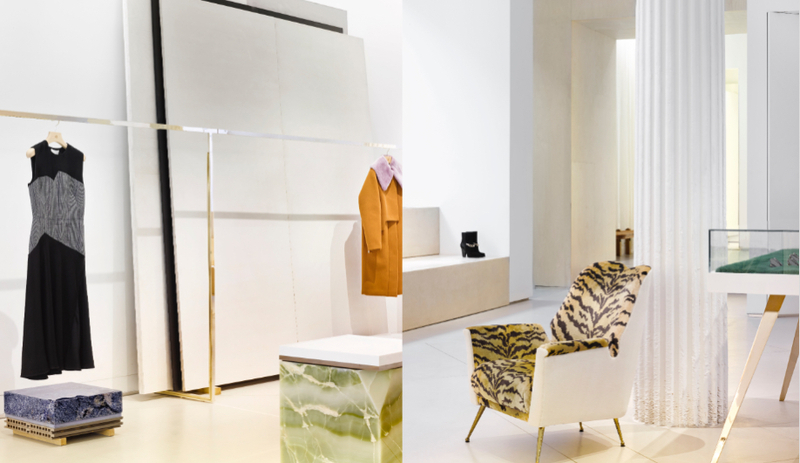 Men’s and womenswear collections are sparsely hung on glamorous champagne-gold finished rails, complemented by white Corian and mint-hued marble tables. 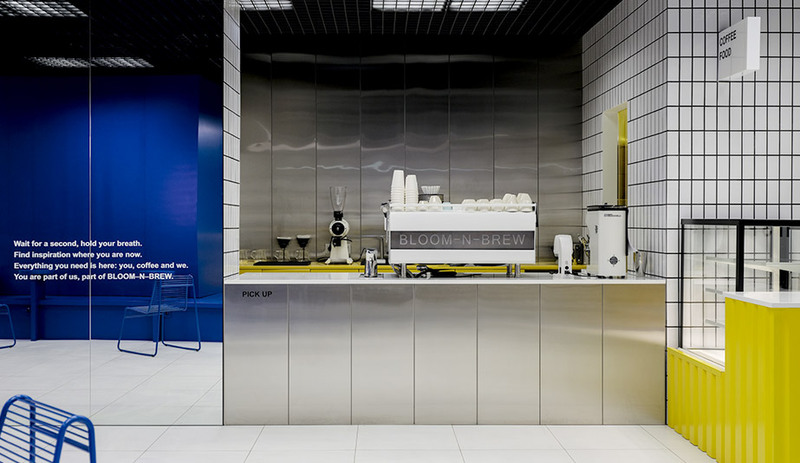 Plinths, displaying Lim’s metal heavy accessories, playfully incorporate stacks of floor tiles interspersed with blue-tinted glass. Evidence of Campaign’s unconventional use of materials continues in the flooring: a checkered pattern of grey limestone and dramatic blue Bahia marble tiles butting up to a poured concrete surface with shiny inlaid brass strips. Romanesque columns throughout lend a feeling of history and tradition to the ultra contemporary space. 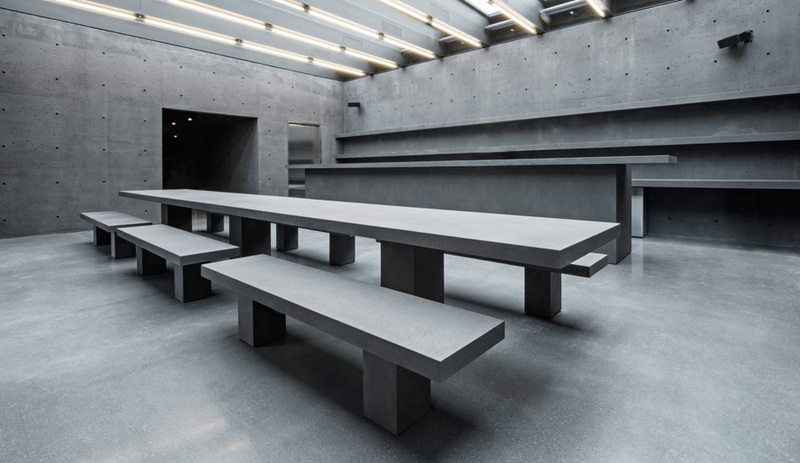 3.1 Phillip Lim is located at 48 Great Jones Street in New York City. New shops are slated to open in Bangkok, Macau and Jakarta.